New Delhi, July 15 (IANS) The government on Saturday briefed 11 political parties on the standoff with China in the Doklam sector as well as the Amarnath Yatra security in the wake of the militant attack on a bus that killed seven and injured 20 pilgrims earlier this week. The opposition parties told the government to defuse the standoff with China soon “through diplomatic channels and negotiations”, and unanimously condemned the terror attack on Amarnath pilgrims. 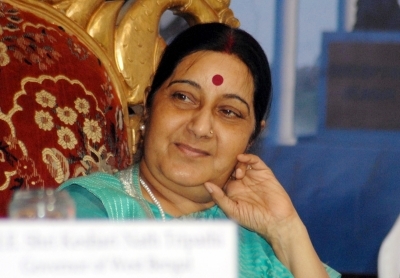 The meeting, called by External Affairs Minister Sushma Swaraj, was the second in a row. Defence Minister Arun Jaitley was also present at the meeting. The government had briefed 14 political parties on the twin issues on Friday. On Saturday, Foreign Secretary S. Jaishankar briefed the leaders about the Doklam situation and how Chinese activities were hurting India’s strategic interests. “As far as the standoff with China is concerned, the parties were of the unanimous view that the government of India should negotiate with the other side and use all diplomatic channels to end the standoff. “All parties are of the view that negotiations are the only alternative and this standoff should end as early as possible,” CPI leader D. Raja told reporters after the meeting. “As far as the Amarnath terror attack is concerned, they said that there was no intelligence failure but they said this happened because Anantnag is part of south Kashmir which is a problem area,” Raja added. The CPI leader said the opposition parties told the government that in the fight against terrorism, all of them were united but the government should ensure that such incidents did not happen again. He added that there were some questions which the government “could not answer satisfactorily” but “they (government functionaries) tried to explain”. In the meeting, Home Secretary designate Rajiv Gauba briefed the leaders on the Amarnath Yatra. He said that more than 200 additional companies of central armed police forces and three additional battalions of the army were provided for the Yatra this year. Gauba told the leaders that after the incident, security arrangements had been reviewed again and were being closely monitored by the Centre as well as the state government. All political parties condemned the attack. On Saturday, leaders from the Shiromani Akali Dal, Rashtriya Lok Samta Party, Indian National Lok Dal, Janata Dal (Secular), Jharkhand Mukti Morcha, Communist Party of India, Sikkim Democratic Front, National People’s Party, Revolutionary Socialist Party, Bodoland People’s Front and Republican Party of India attended the meeting. On Friday, leaders from the Congress, AIADMK, JD(U), AITMC, TDP, Shiv Sena, TRS, CPI(M), YSR Congress Party, DMK, BSP, SP and NCP had attended the all-party meeting.